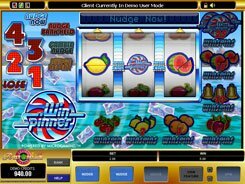 Doggy Reel Bingo is a classic Microgaming’s three-reel slot with a single payline. 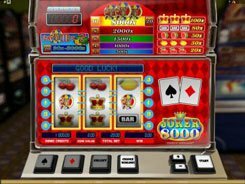 Having a 3-reel configuration, the slot is equipped with a plenty of amazing features that stand it apart from other fruit machines. The number of coins per line comes fixed, and a coin size is tuned from $0.1 to $10. Alongside with some of the standard fruit icons, Doggy Reel Bingo has dog show themed symbols, including trophies, collars, dog food and leashes. 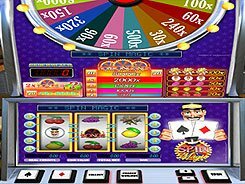 Though having just a single payline, the slot is action-packed and highly-rewarding. 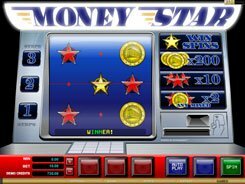 It features the Trail Counter below the reels that activates a fantastic Bingo Draw bonus, once all of its numbers get completely lit up. The Bingo Draw bonus awards with nudges, holds, multipliers, “click-me” type bonus games, and instant cash prizes. 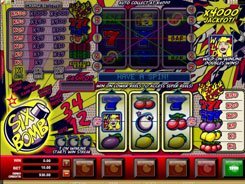 In a normal round, payouts start with x2 times a bet and climb up to a jackpot worth x500, for three slot’s logos landed across the payline. 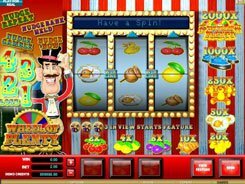 If you are a fan of dogs or a classic slot aficionado, you will surely take the fancy of this delightful and entertaining game. PLAY FOR REAL MONEY!